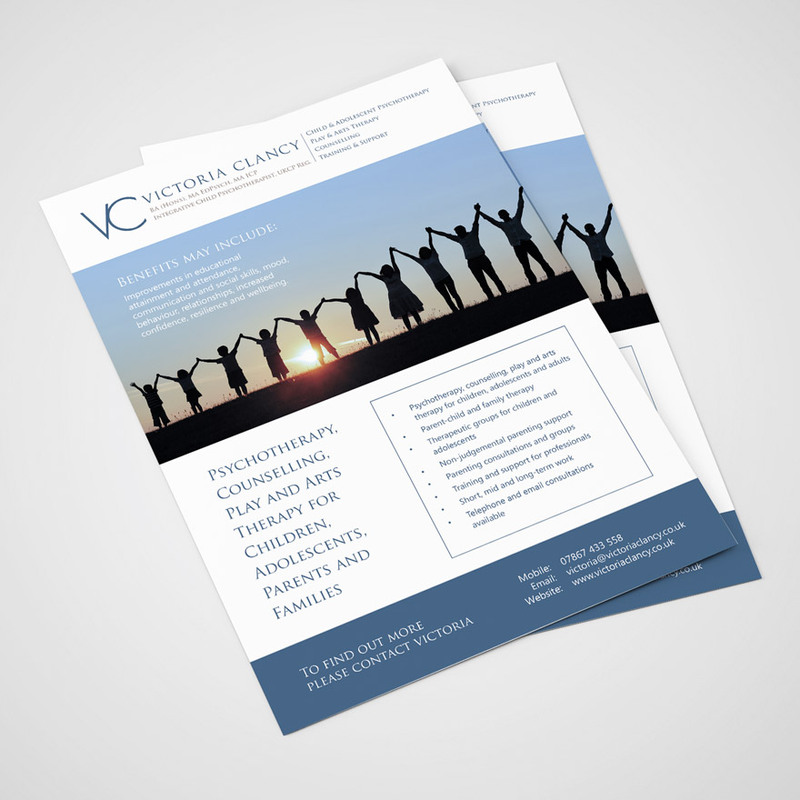 Chid Psychotherapist, Victoria Clancy approached me regarding a flyer redesign. 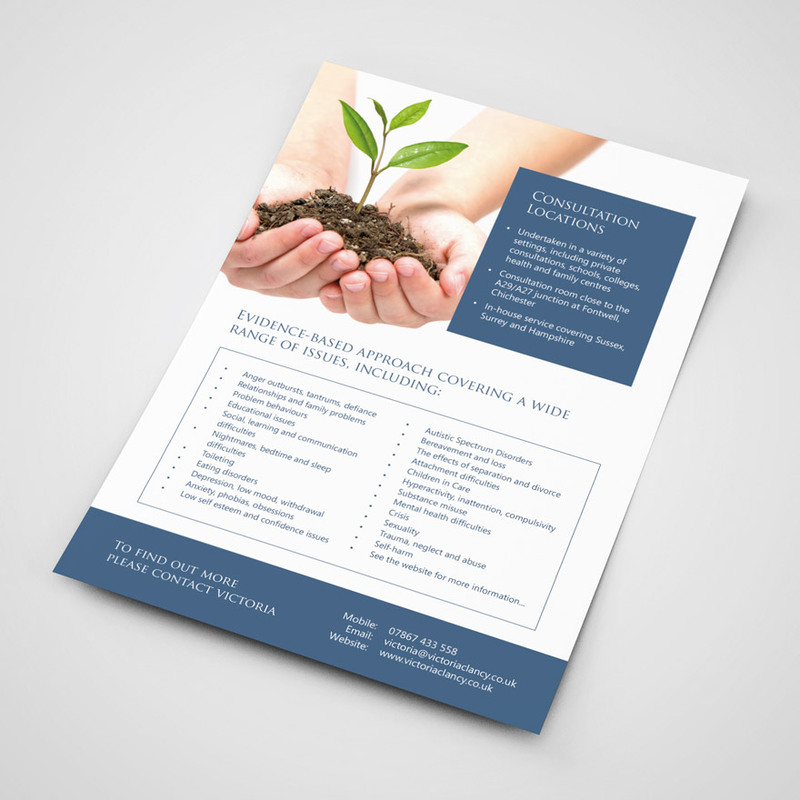 Her existing flyer was very text heavy which was tightly packed and only had a small image which lacked the desired ‘attention grabbing’ qualities. After reducing the amount of text in favour of a strong image and ample negative space, the flyer was transformed.